There is no doubt in my mind that DC Comics do female superheroes better than Marvel. Of my top five favourite super heroines, 4 of them are DC: Supergirl, Power Girl, Batgirl, and Harley Quinn. (For full disclosure’s sake, the Marvel heroine is She-Hulk). I’ve been a fan of Harley Quinn since her first comic appearance in The Batman Adventures issue #12, but I really liked what I saw in the Bruce Timm/ Paul Dini story Mad Love, though they came at a time when I was drifting out of comics because of how awful they had become in the early 90s so I missed out on a whole pile of her adventures until I became re-united with her when her own comic became a part of the New 52 Universe that DC started several years ago. She wasn’t one of the 52 launch titles, but once her comic started, I was well and truly into it. Harley’s actual first appearance was actually in an episode of Batman: The Animated Series as a sidekick of the Joker. Who is Harley Quinn, I hear you ask? Harley’s origin sees her as a psychologist Harleen Quinzel who was manipulated by the Joker whilst treating him in Arkham Asylum to fall in love with him. The Joker has a firm ‘treat ‘me mean and keep ‘me keen’ ethos and that really works on Harley. The Joker decided at one point that she cramped his style, so he attempted to kill her but she was rescued by Poison Ivy (another Batman villain) who assisted in her recovery by giving her various plant potions which also made her more limber, and increased her strength and endurance. She is also resistant to most toxins, including the Joker’s laughing gas. 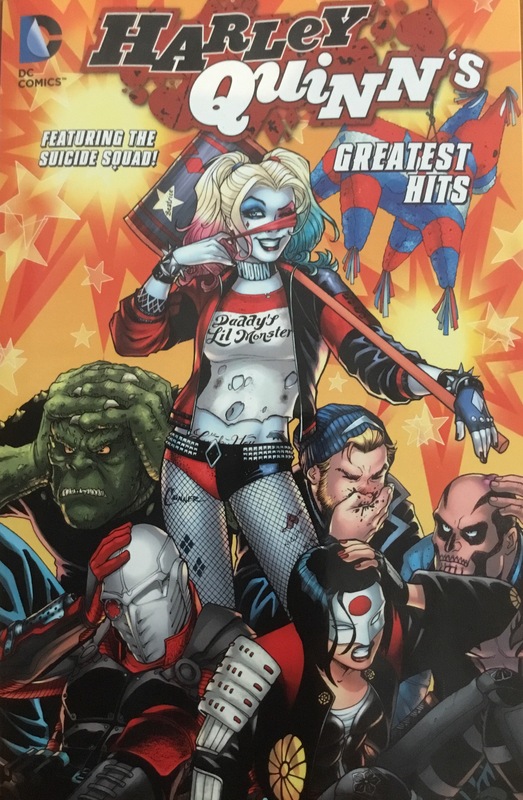 This collection is a series of 8 stories taken from various comics which show the evolution of the character from throwaway gun moll to superhero in her own right (if you have read the Harley Quinn/ Power Girl 6 issue mini series written by Amanda Conner, Jimmy Palmiotti, with art by Palmiotti, Stéphan Roux and Justin Gray). Her character goes from flat out villain to crazy fun-loving within a few pages that represent many years, so it’s funny to see just how much the character has evolved to suit the affection the comic loving populace have for her. Some of the stories are only a few pages long and serves as character vignettes, but others really display the character is all her crazy lights! Story: This being a historical collection, there is a variety of writes who have worked on it: Scott Beatty, Kelly Puckett, Jeph Loeb, Paul Dini, Adam Glass, Scott Snyder & James Tynion IV, Amanda Conner & Jimmy Palmiotti and Rob Williams, and the stories are presented in historical order. The Rob Williams story is the most recent and clearly sees the film version of the Suicide Squad become a more comic related group and is an interesting look at where Harley’s mind is as far as wanting to be a superhero is concerned, but for me, the Kicked in the Teeth, from 2011’s Suicide Squad #1 by Adam Glass is the most effective story. The least effective story is Jeph Loeb’s The Opera but only because it was a past of a bigger story that was presented over 12 issues, and there are minor subplots unresolved. It’s not a criticism of Loeb’s writing, but more it’s appearance here is a misstep as it is only a snippet of an entire Batman story. All in all it’s an uneven story collection, but as a character evolution and dissection, it almost works! Art: As with the story, the art is of varying quality, but is mostly representative of the story it is presenting. Modern comics art legend Jim Lee makes two appearances here, his better art featuring in the The Opera story, but for me, the fun, cartoony are of Mike Parobeck, whose art lends itself to both an animated or a traditional comic style, in the Batgirl: Day One. Overall though, I really liked all of the art in this collection. WIRIA: Am I gonna read a collection of one of my favourite characters more than once? Of course I am. I have been a fan of the Suicide Squad comics since the eighties, particularly due to the presence of Flash Villain Captain Boomerang (he’s Australian, it’s national pride) and Deadshot, in the post Legends comics, though I must admit that other series’ that have come out I haven’t always been a fan of; I think I like those ‘non team’ books like this, and Marvel’s Defenders. I was excited to see this film as I loved the cast, and looked forward to a new Joker as I have never been a fan of Heath Ledger’s portrayal in Christopher Nolan’s Batman films. 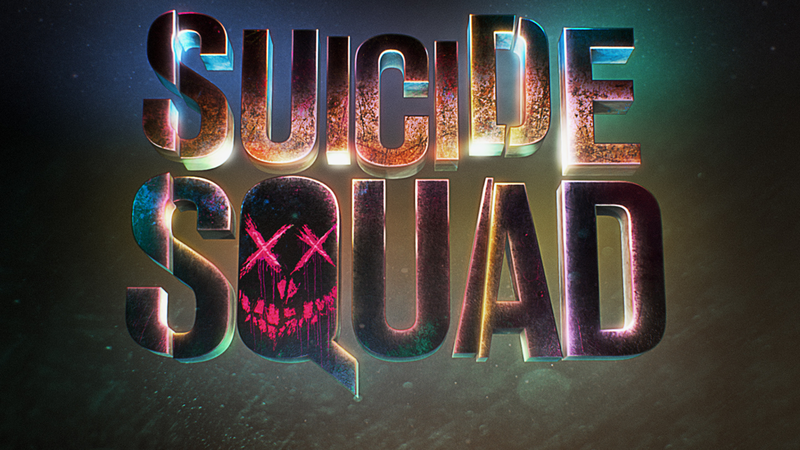 Suicide Squad takes place in the emerging DC Cinematic universe, and is the third instalment after Man of Steel and Batman vs Superman (though I still believe that these films follow on directly from Nolan’s) and tells of a secret governmental task force run by a ruthless official named Amanda Waller (Viola Davis), and with boots in the ground control by a special ops soldier named Rick Flagg (Joel Kinnaman) which contains bad, awful, villainous occasionally super-powered people who are controlled by bomb in their necks, who are employed to do the dirtiest jobs… The suicide missions… That are too dangerous for soldiers to be sent to. Honestly, I loved this film. Cast beautifully, shot like a super-slick modern day action film, and is pure blockbuster. 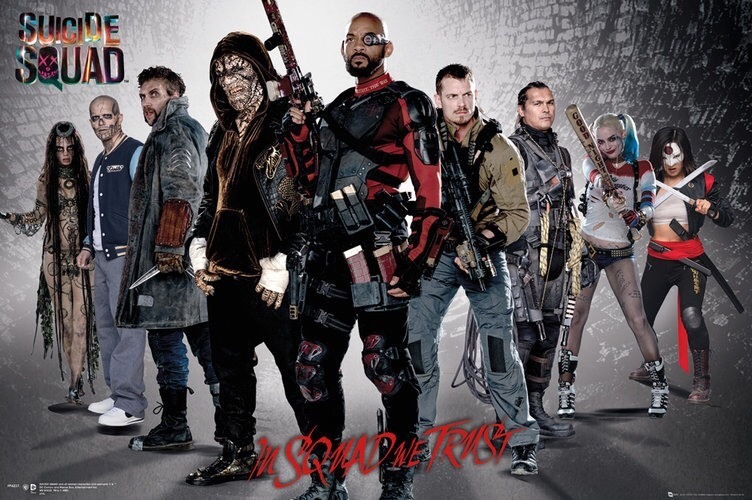 I wasn’t disappointed by Jared Leto’s Joker at all, though the perfect comic Joker still hasn’t been done properly, and the rest of the cast, including Will Smith as Deadshot, Margot Robbie as Harley Quinn, Jai Courtney as Captain Boomerang, Jay Hernandez as El Diablo, Adewale Akinnuoye-Agbaje as Killer Croc, and Karen Fukuhara as Katana were bang on, though Cara Delevingne as The Enchantress was.. Well… A little lame, though she looked amazing. Certainly a lot better than her 80s comic counterpart! I know this film was tested and then went back to production to add extra bits too it, and there was really one issue with this film: the extra reshoots, whilst seamless, do have a point where one character reacts positively to a current event, that has already happened in his/her particular circumstance. It sat weird with me. So it’s a big dumb blockbuster and if you expect anything other than explosions, tied together with snide jokes and a bit of sexiness, you should just stay at home. As far as I can see, what you see at the cinema now reflects what you buy at the concession stand: fast food for the mind, and if you expect an exquisite, healthy three-course meal, brother, you need to check yourself. I do have to give a special note that a tribute to the 80s Suicide Squad creator, John Ostrander, features in this film, and as both a comics and film fan, I like to see that.